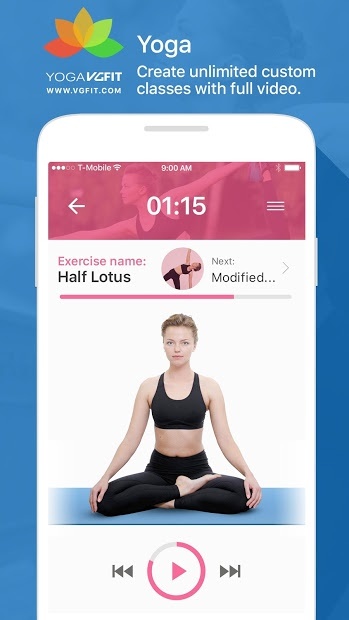 With this app you get access to HD videos of poses, easy to follow for one pose to next. There are 111 poses developed, and thought by a qualified yoga instructors, and you can search poses by name in english, based on type, focus and ability. If you have any doubts about a pose, you will find information and description about each poses, benefits, and instructions. Do you preffer to follow a class? There are 9 unique yoga classes, suitable for beginner, intermediate or advanced. You can save the history of your classes and schedule your next one. Follow them on your TV with Chromecast.